Welcome to the Advanced pages. 1. Link one GenBase to another.
" Link don't merge " keep your data separate. The best timeline support of any program. Soundex Calculator, Daitch-Mokotoff Soundex Calculator, Tombstone Calculator. 4. Customise the Source types and Attribute types. Dates range from 99,999BC to 99,999AD. 6. Plus version of reports. Maximum flexibility in preferences, footnote and bibliography. Output to PDF, HTML web format. Features not found anywhere such as unlimited name parts and unlimited flags. No limits to the number of open GenBases. Use the Image Editor to edit multiple images simultaneously. Easily run supplied utilities to tweak your GenBases. Switch Dates, Messages, Forms, Sources and Attributes, Report languages 'on the fly' all independent of one another! Externalised language maintenance so it is open for the user to change. There is no better customisation available! Scan photographs for people using the Media Manager. The following graphic shows an image (in its own window) ready to be manipulated by the editor. As you can see there are quite a number of toolbars and menus in the editor. The Code Editor is used in a number of places throughout the program. In most respects it is similar to the Text Editor. There is one significant difference - the Code Editor applies a style to the formatting of the code it is displaying. 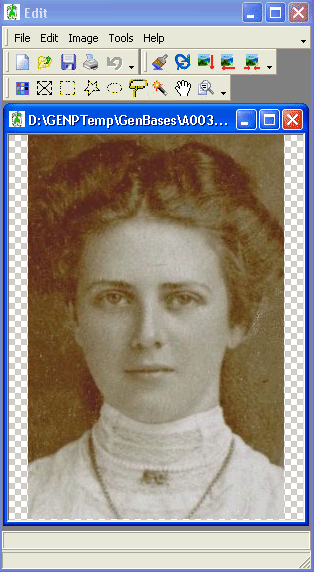 The styles of the Biblio Language and Narrative Language are different. These styles have been chosen to make the code more readable and to provide instant feedback to your data entry. 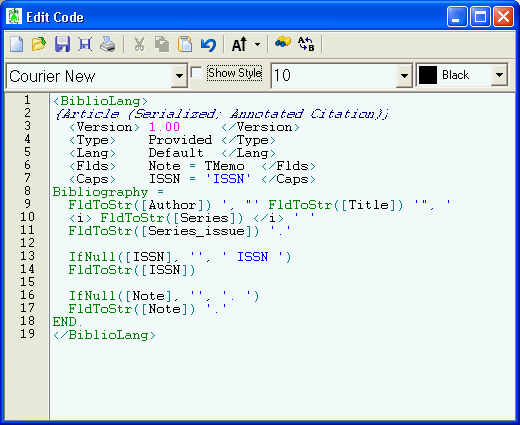 The following screen shot shows the editor displaying some Biblio Language code. Note the keywords in green, strings in blue, and comments in blue italics. The editor also has a gutter in which line numbers are displayed. The Configuration Control dialog is where you manage configurations for various screens and other program setups. The following screenshot shows Configuration Control when called from the Repository screen. Note the Preview of the Repository screen and the nice display of directories available to store or retrieve previously saved configurations. Configuration Control enables you to manage your configurations using an interface you will be familiar with. The ability to link one GenBase to another is a powerful feature. 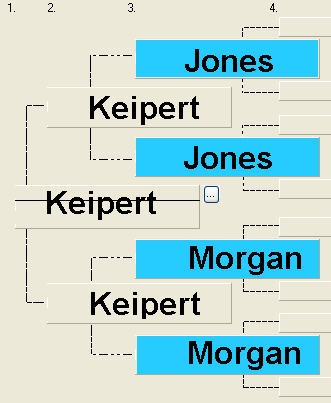 Lets take a look at one of the links depicted on the Pedigree View. 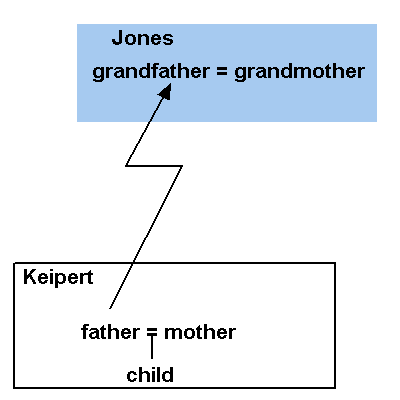 The following graphic is taken from our Tutorial on how to Link two GenBases. 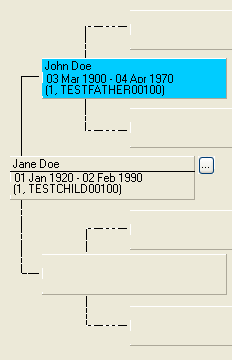 It shows the result of linking Jane Doe in the TestChild GenBase to her father in the TestFather GenBase. Color coding enables you to see at a glance that the two are linked. The Timelines dialog is used to manage all your timelines. 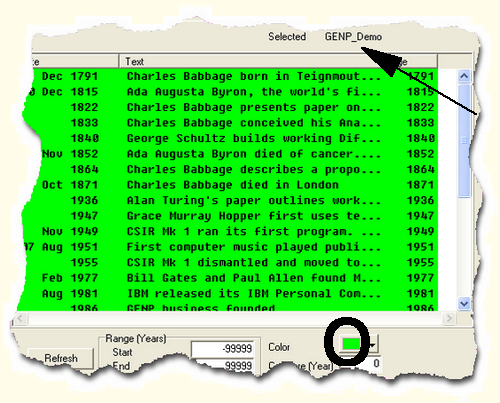 This graphic shows each timeline event from the GENP_Demo timeline painted in green. This graphic shows how the GENP_Demo timeline looks in the test facility. Timeline data in the test facility which gives you the ability to mix and match various timelines. There are many Source Types in the system. This graphic shows the Source Type Manager in action. Here is a view of the Source Type Designer showing how a particular source will appear if it was printed.